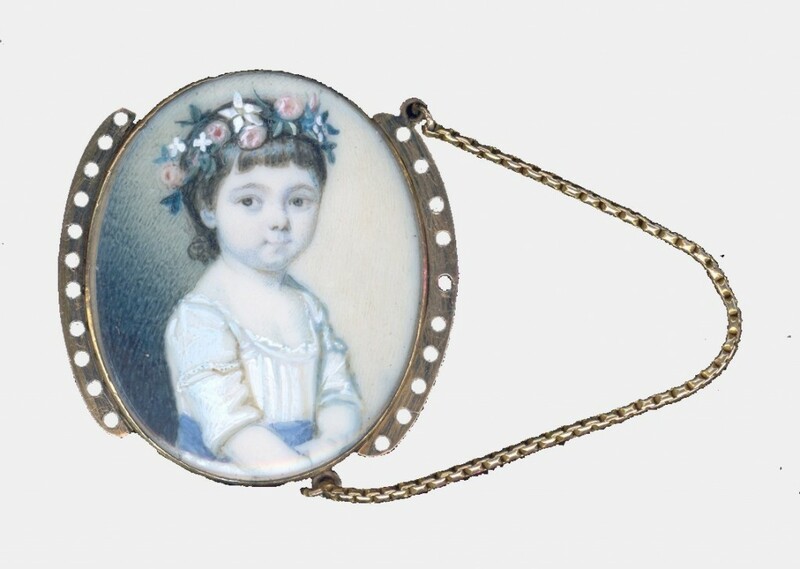 Presented here is a delightful eighteenth century miniature of a child, probably a little girl. She is wearing a simple white dress with a blue ribbon sash on the waist and narrow sleeves. 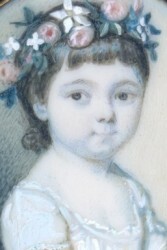 Her short brown hair is topped with a pretty circlet of pink and white flowers with foliage. 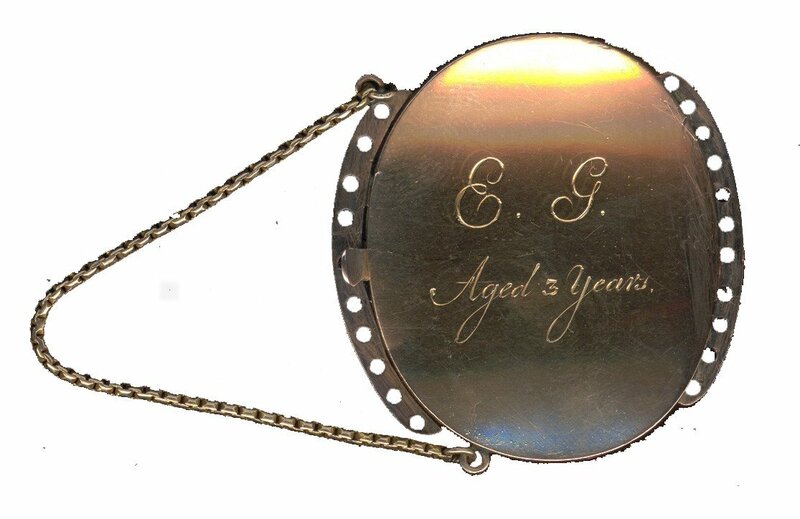 Watercolour on ivory set in the original gold bracelet clasp frame that is engraved on the reverse with the child’s initials and age – ‘E. 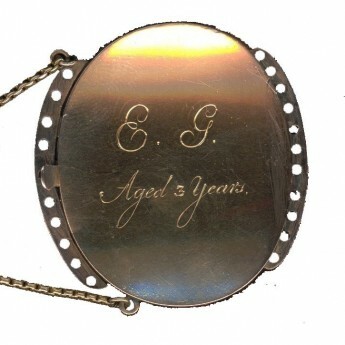 G. Aged 3 years’. Excellent condition.